Baseball Mogul: The League Builder - Sports Mogul, Inc. Although we are busy working on Baseball Mogul Diamond, we often get questions asking about existing features in Baseball Mogul. I got an email yesterday asking if it was possible to "combine teams from different years". 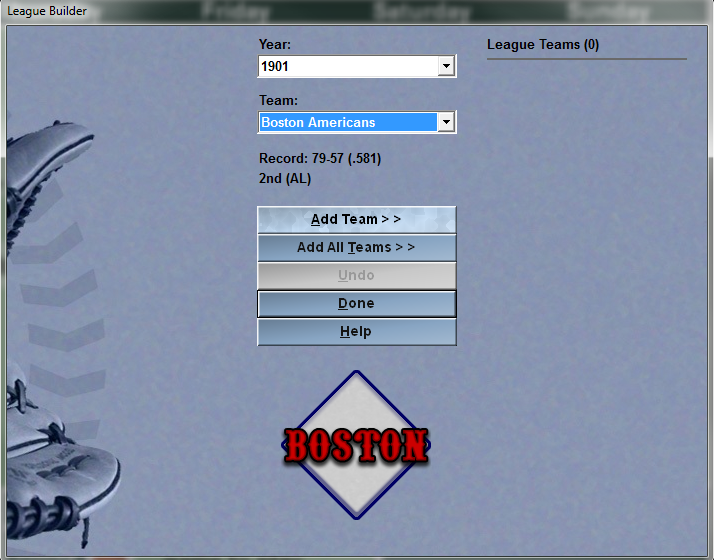 The League Builder consists of a dialog box that lets you select any season and any team from that season. Then click "Add Team >>" to add that team to your league. 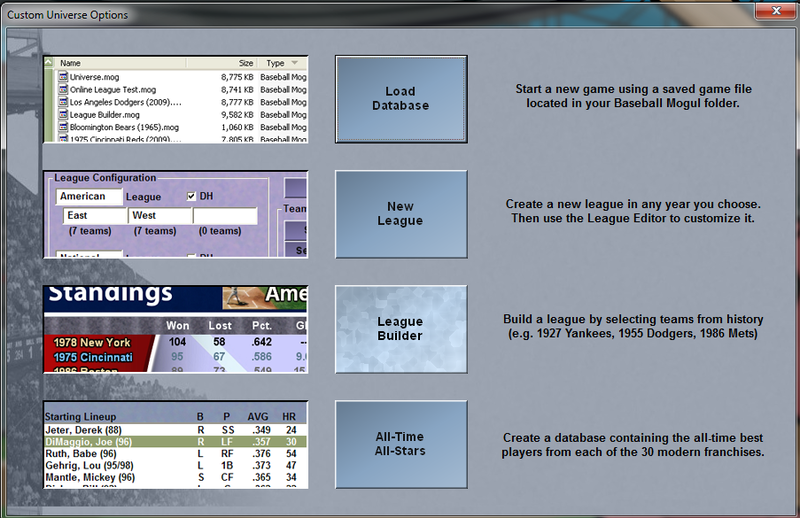 The League Builder supports leagues as small as four or as large as thirty. 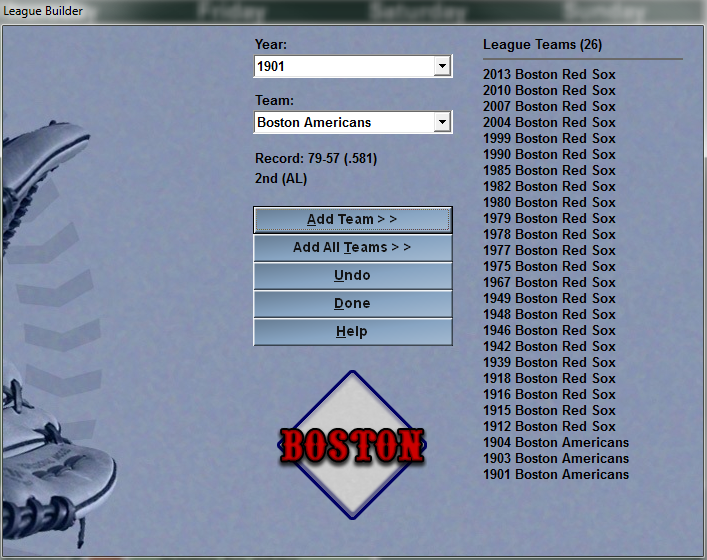 When you finish selecting the teams of your choosing, click “Done” and the league will finish setting up, after which you’ll be able to play with or against your favorite teams of all time from year to year.